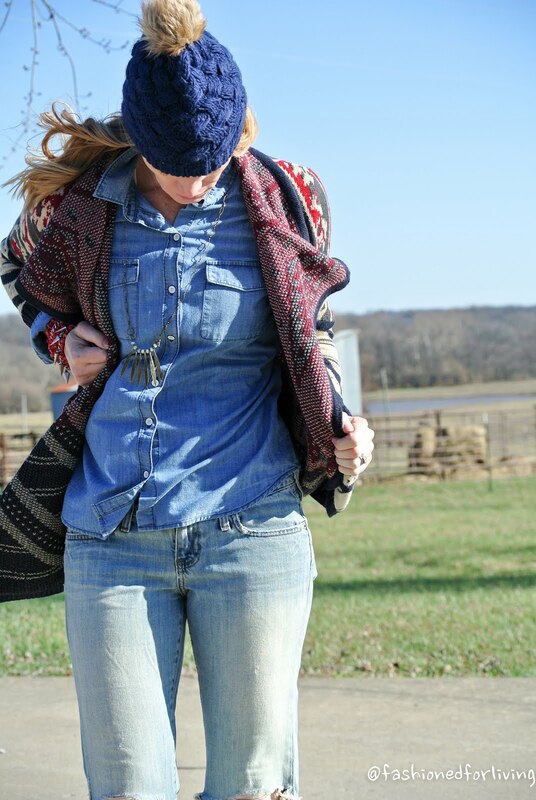 Destroyed flare jeans, denim chambray shirt, fair isle aztec cardigan sweater, pom hat, and cowboy boots. I love, love this look. It has a 70s or festival feeling to it. My mom always told me what is old will be new again (as my eyes rolled). Well, mom, you were right. My jeans are Abercrombie and Fitch from when I was in high school. I think they are 14 or 15 years old. Does that make them vintage?? I got the holes in the knees by wearing the heck out of them. You just can't pull jeans off the rack that feel so soft. Perfection in my opinion! My cowboy boots are from the same time period. 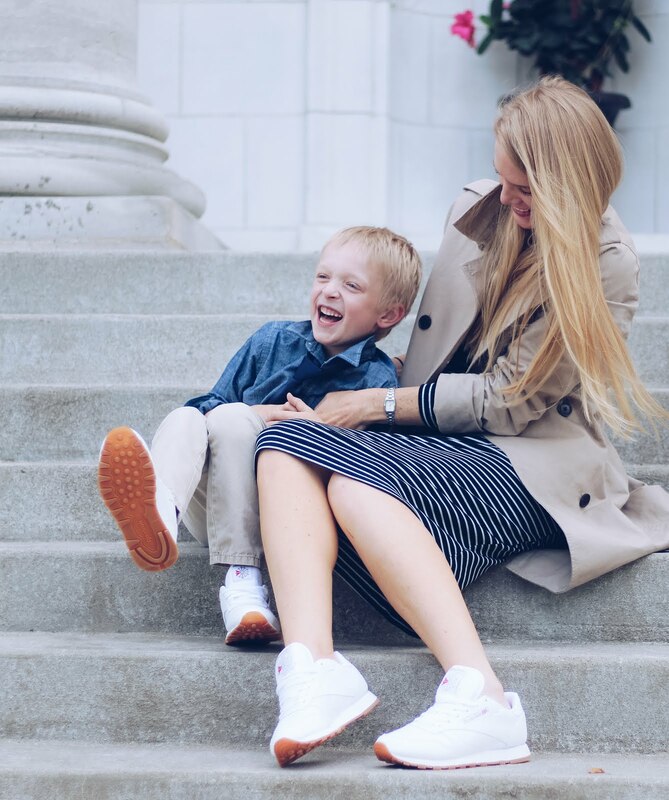 Classic cowboy boots never go out of style. Good quality, all leather cowboy boots are worth investing in and should last a lifetime. I just recently had mine resoled. Something you can do with nice boots. 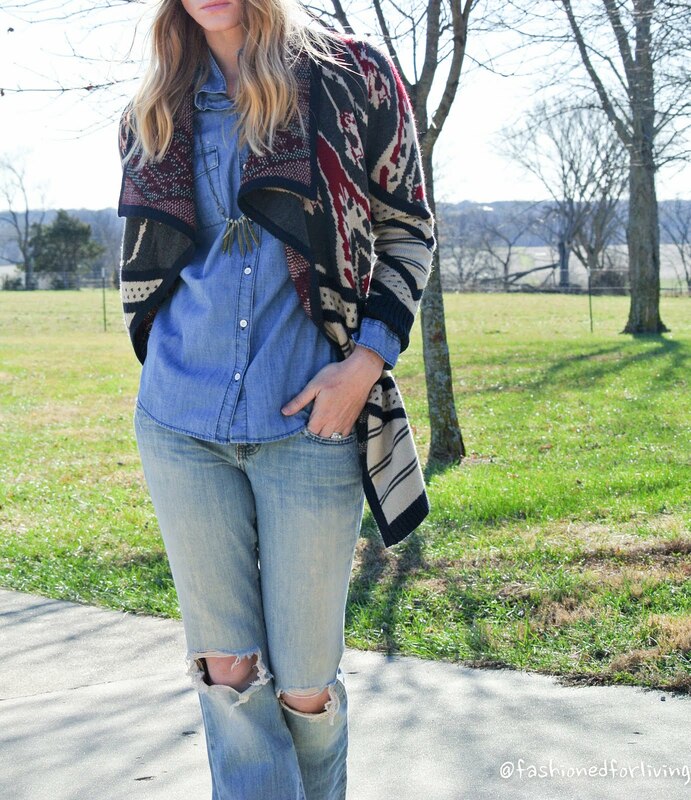 Denim Chambray Shirt - Old Navy. Available in regular, tall, and petite sizing. Gotta love that! Destroyed Flare Jeans - Similar style. 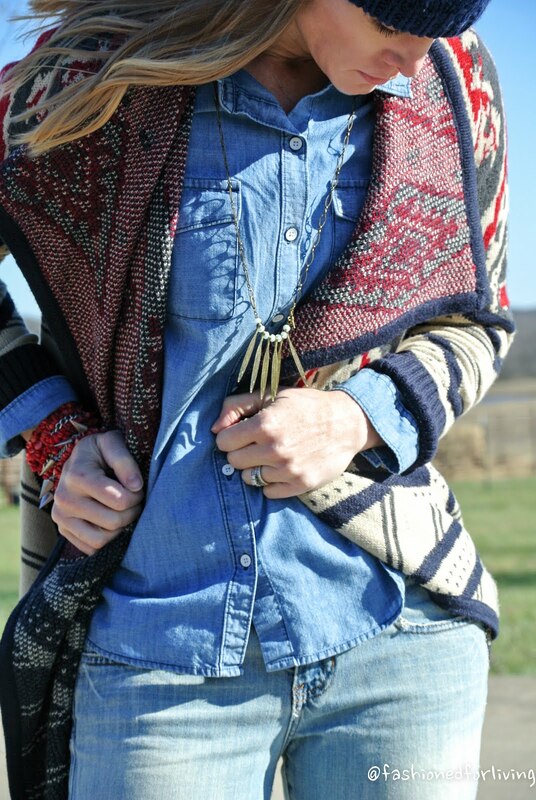 Love this cardigan and how you styled it! I found your blog via the JCPenney website....you have a new reader. Love your style! Thank you for commenting!! Truly, made my day! !